Deventer is a beautiful and pleasant Hanseatic city in the province of Overijssel. The historic inner city and unique river landscape make a visit to Deventer absolutely worth the effort. Website of the municipality of Deventer: www.deventer.nl (in Dutch). A welcoming Hanseatic City on the IJssel river: that’s Deventer. In the city and its surroundings there are many sights to be seen, including the city hall with its very special architecture. Discover the city’s rich history, experience the many events happening or join a city walking tour. For more activities visit www.deventer.info. Deventer can be reached by bus or train. Amongst others, there are direct trains to and from Amsterdam and Berlin. Would you like a sneak preview of Deventer? Then watch the video ‘Experience Deventer’ on this page. It will give you a good impression of the city and the towns in the municipality. Are you an entrepreneur? Then Deventer is also the right place for you. There is a large variety of small and large businesses that call our city home. Think logistics, manufacturing or Clean Tech. Many of these companies are part of the international market. The location is perfect due to the proximity to the A1 motorway and the IJssel. For instance, the A1 Industrial park Deventer is very accessible. This location, visible from the motorway, offers many opportunities, both national and international. The easy access results in fast import and export of goods. Do you need help developing your business plan in the Netherlands? The Netherlands Foreign Investment Agency (NFIA) supports foreign businesses that aim to expand their activities to the Netherlands. The website of the NFIA, investinholland.com, has information about investing in the municipality of Deventer. Deventer is an excellent location for your studies. Saxion, the University of Applied Sciences, offers a very diverse program of studies and a large number of special majors and specializations, both national and international. This includes studies in international business and management, marketing and international management, tourism management, international finance and accounting, business administration, but also in the living technology sector, chemistry, facilities management and many more. There are many international students who live and study in our lively city. Saxion is close to the central station. Are you looking for nice student housing? Take a look at the website of DUWO. DUWO is specialized in decent and affordable student accommodation. Are you looking to live in Deventer, then check out www.funda.nl/en. There you will find an overview of houses available for purchase or rent. Did you know that the municipality of Deventer consists of the city and 6 other towns? Maybe you will not find your dream house in Deventer, but rather in one of the pretty towns surrounding Deventer: Bathmen, Diepenveen, Okkenbroek, Schalkhaar, Lettele or Loo. These towns are ideal for those who are looking for peace, nature, space and small town coziness. Do you need something from the municipality? Such as a passport or extracts from the civil registry for international use? Or are you (temporarily) living in Deventer and do you have to take care of certain matters? On the website www.deventer.nl you can find a lot of information about the municipality. This website is in Dutch. You can find the city hall of Deventer at Grote Kerkhof 1. If you are having trouble and need help, please call us. From outside the Netherlands, call +31 570 69 39 11. From inside the Netherlands the number is 14 0570. We can be reached from Monday to Friday from 08.00 until 18.00. You can also ask your question via WhatsApp: +31 6 83 54 25 52. You cannot call or text this phone number. Deventer is an internationally minded city. Under the name Deventer International, the municipality stimulates activities and projects for and with cities in EU countries, developing countries and countries of origin of the people of Deventer. This is done in cooperation with volunteer organizations, cultural and educational institutes, businesses, residents and partner municipalities. International activities often take place in Deventer. This includes lectures and conferences with foreign guests or about current international issues, events, workshops and festivals. The event ‘Deventer Wereldstad’ (‘Deventer World city’) is a good example. This event filled with color, art, culture, debate and a bustling world market, shows how international our beautiful Hansa City is. Would you like to know more about the international projects and activities of Deventer? Then please contact Miss Nicoleta Mitut, on phone number +31 570 69 39 11 or email address n.mitut@deventer.nl. The international vision of Deventer makes this city attractive for everyone, be it for living, working or founding a business. You are always very welcome. 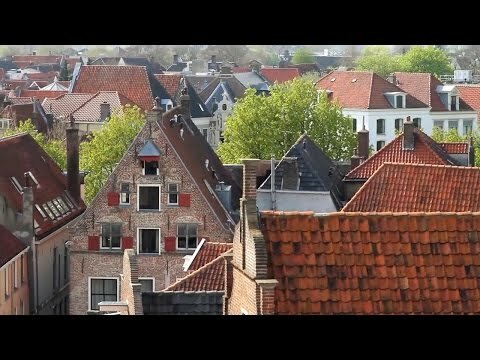 Experience the atmosphere of Deventer with the ‘Experience Deventer’ video (6 minutes, 31 seconds).